Nominations are now open for the annual Stan Henwood Award, which recognises outstanding individuals in Cardinia Shire who have made significant contributions to the community. Cardinia Shire Mayor Cr Graeme Moore encouraged community members to submit a nomination for someone who they think has made a positive difference in their community. “This award honours the late Stan Henwood and his lifetime contribution to Tynong and the municipality,” Cr Moore said. “It’s a special way for council and community to remember Stan Henwood and acknowledge similarly motivated individuals in our community today. 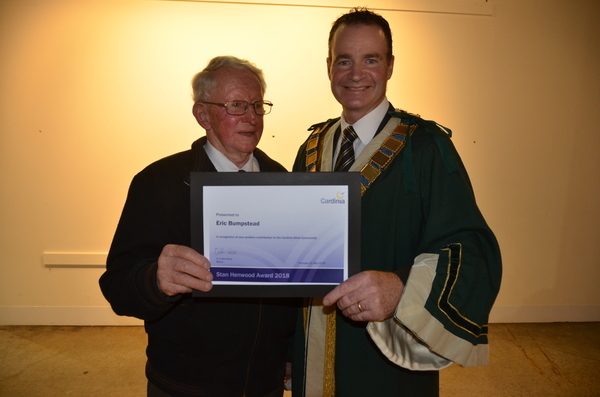 Stan was held in high esteem by the Tynong community for his lifelong dedication to strengthening his local community and Cardinia Shire more broadly. His positive influence and contributions over the years not only improved the lives of those around him, but also saw him receive a medal from the Australian Prime Minister for Service to Sport and an Order of Australia for Service to the Community. Nominations for the 2019 award close at 5pm on Sunday 24 March 2018. Nominations must be submitted online via the SmartyGrants portal, which will require the nominator to register an account before they can prepare and submit a nomination form.